7 Howe Crescent, Ainslie, before a thoughtful interior and exterior renovation. Photos: Supplied. 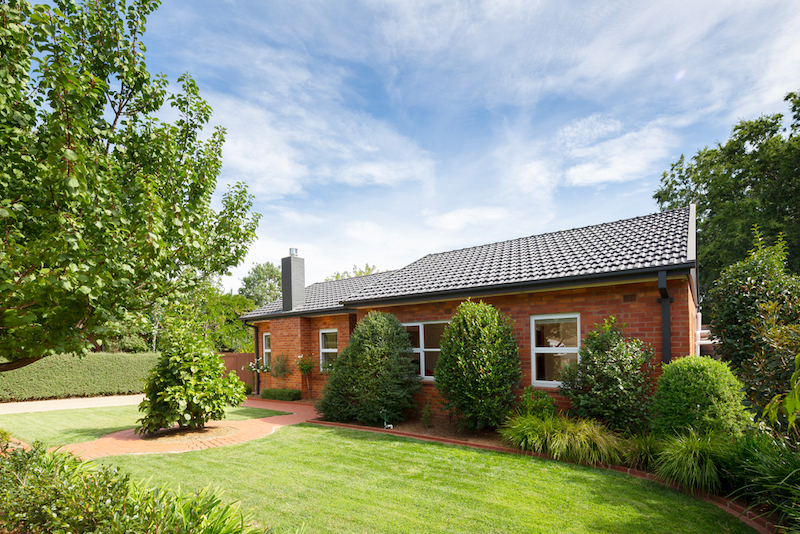 Renovated as new and a property in step with the redevelopment of the city’s north, this classic 1950s Canberra red brick home is about to go under the hammer in elegant Ainslie. Listed with home.byholly, 7 Howe Crescent is a gorgeous four-bedroom dwelling with serene garden views. It sits undisturbed by through-traffic, within walking distance to the city, and close to heritage-listed Alt Crescent, one of the old suburb’s three heritage precincts. “This property demonstrates that you don’t have to knock everything down. Sure, you have to be a little more invested in creativity, and more adaptable, but you can work with a home to create an efficient, modern property,” Holly Komorowski, principal of home.byholly, says. A section of garden after the renovation was completed. The inner north is currently experiencing a rejuvenation, with many ageing ACT assets being redeveloped. The CSIRO headquarters redevelopment has started, and upgrades to Haig Park and Ainslie Avenue are also under way, further improving the access to the nearby city and the café and restaurants of Braddon. This urban rejuvenation is making the city end of Ainslie even more desirable than ever. The renovation design brief was to preserve the architectural features of the front façade to ensure the public urban space was not negatively impacted upon. New terracotta roof tiles cover and seamlessly merge the original and new extension of the home. The landscaping has all the hallmarks of luxury gardens of its time. 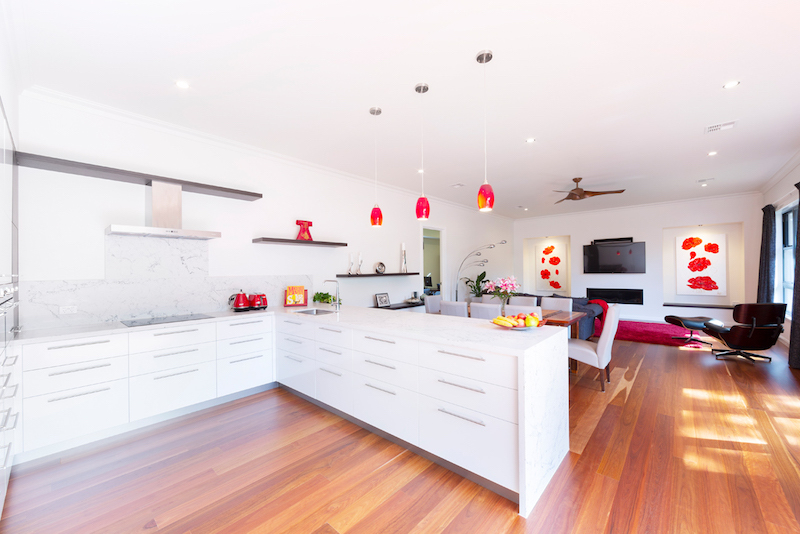 The extension boasts generous modern living areas and a spacious kitchen with exceptional storage in drawers under stone benchtops and Smeg appliances. Space, light and natural timber feature in the kitchen, dining and living areas. Here is a home that handles Canberra’s weather extremes, with double-glazed windows in the new additions, carefully designed eave overhangs, ceiling fans and ducted, reverse-cycle heating and cooling. Two feature gas fireplaces, one in the original fireplace, and one in the new living room add cosiness in winter. The latest solar hot water tube system delivers water to large rain shower heads in the ensuite and main bathroom. 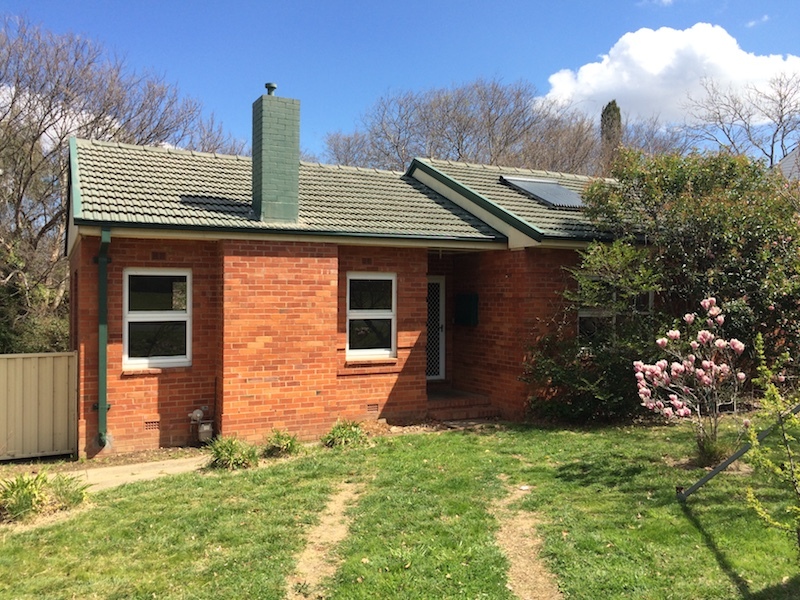 The old red brick section of the home faces east to Mount Ainslie, while the extension is orientated north to maximise the passive solar gain. The home’s alfresco area also enjoys the northerly aspect, leading into the kitchen and living areas. The executive-style home has solid grey ironbark timber flooring throughout, and would suit either a professional couple or a family, because of its efficient footprint and convenient proximity to the city, cultural institutions and amenities. A wifi-smart watering system keeps the manicured, fully-landscaped garden looking stunning. In summer, mature deciduous trees frame lush green lawns and provide cool shade. In winter, dappled sunlight falls gently through these trees, warming the living areas through the double-glazed windows. An auction at 6.30pm on Thursday, April 11, will be held on site. “The evenings at this time of the year are spectacular,” Holly says.